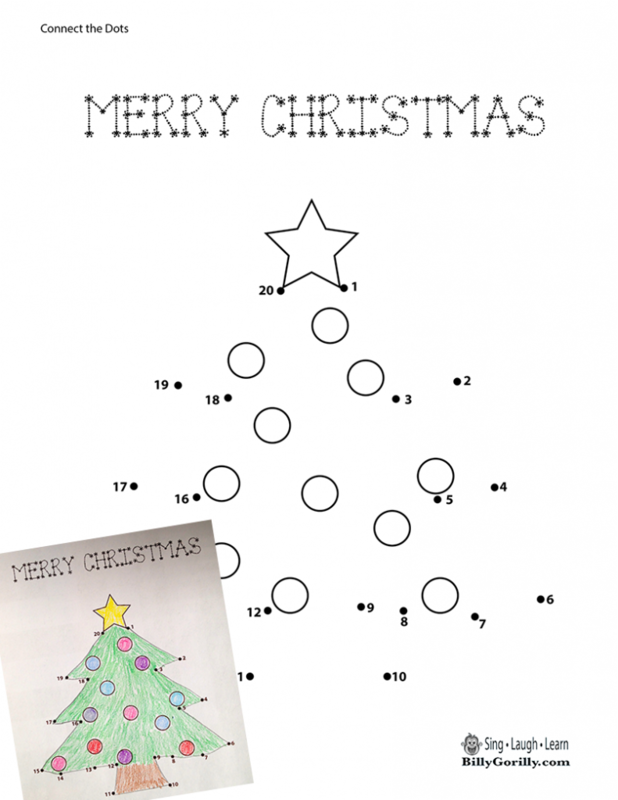 A very simple enexpensive DIY game to play with the kids. 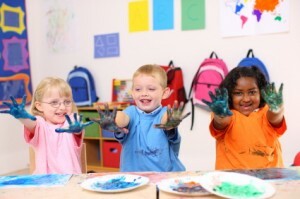 Kids develop hand-eye coordination while having fun. 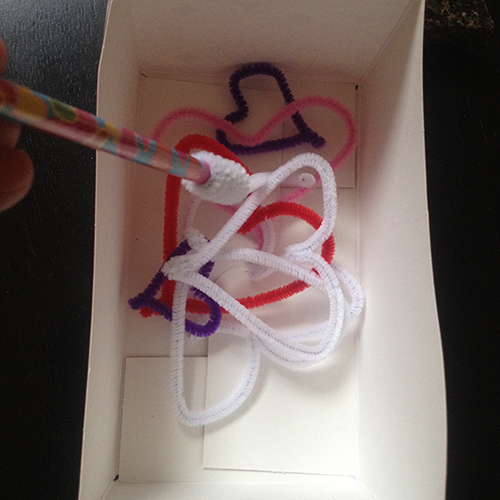 Grab some chenille stems (aka pipe cleaners) and form some hearts. Use a pencil and a chenille stem to make the fishing pole. Here is a quick video to show you how. There are really no rules to this game. 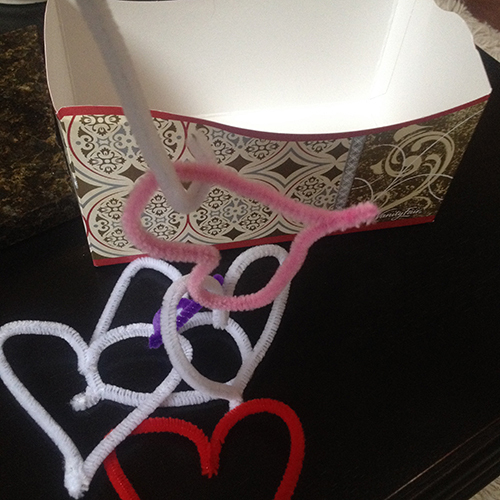 One way to play is to put all the hearts in a box. 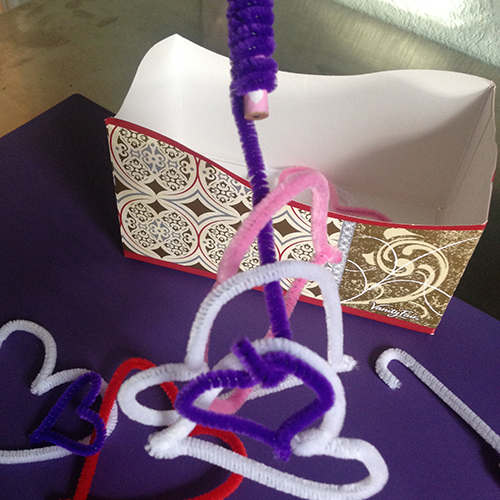 Use your pencil fishing pole to catch the hearts and pull them out of the box one by one. Add some excitement by timing each player. How Many Hearts Can You Catch at One Time? 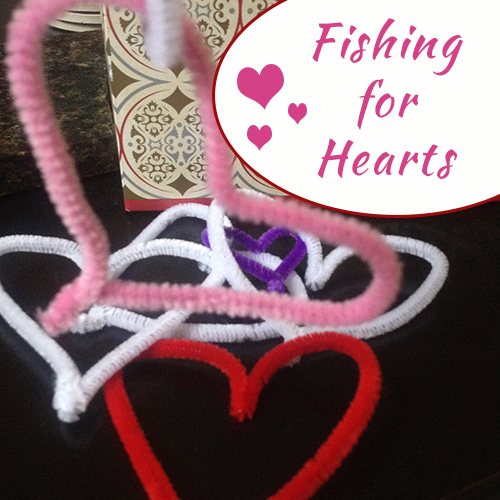 Use your imagination to come up with your own Fishing For Hearts rules. >Pick up a heart without moving any other hearts. >Using the fishing pole only, see who can pick up the most hearts at one time. 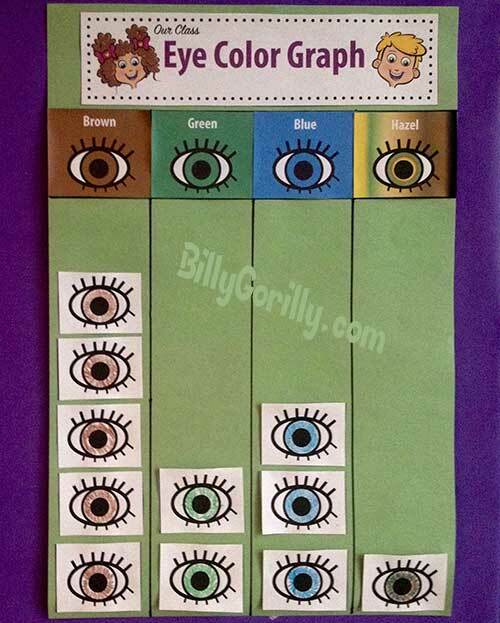 An eye color graph is a great project to work on when you’re teaching children about the sense of sight and eye anatomy. When kids make a graph they are learning how to collect, organize, and display data that will help them answer questions. 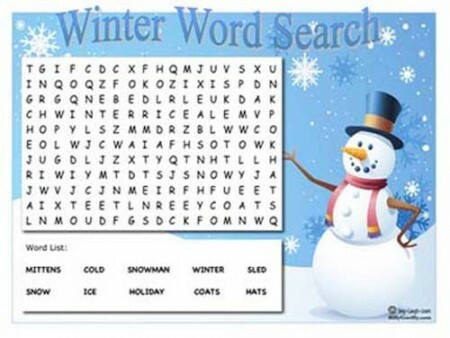 In this example they will be collecting data about eye color. 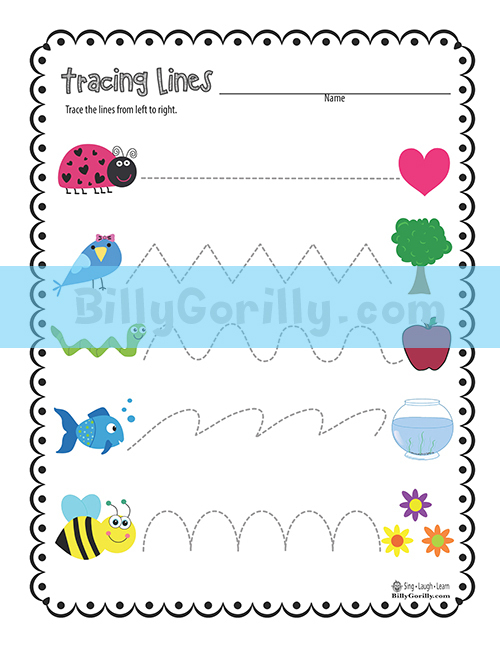 Each graph has certain parts such as a title to show what your graph is about. 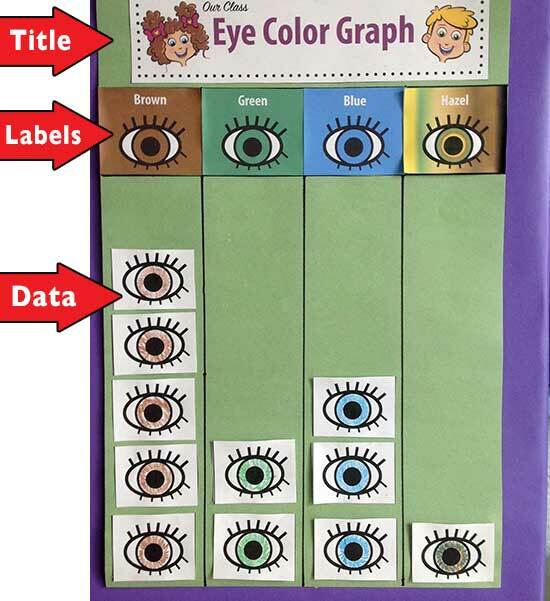 Labels to show the kind of data being collected, and a section to show and measure the data collected. 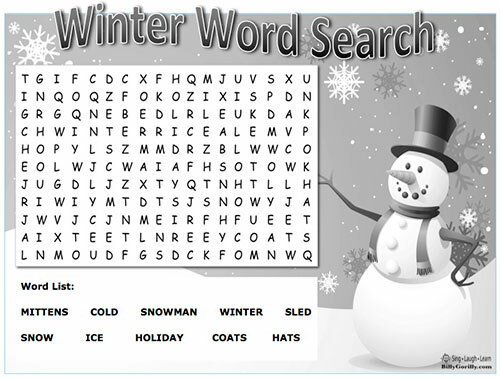 In the example above we have the title area, label area, and the data area. There are many different ways to create the graph, this is just one example. We used an 18″ x 12″ piece of paper to make this graph. 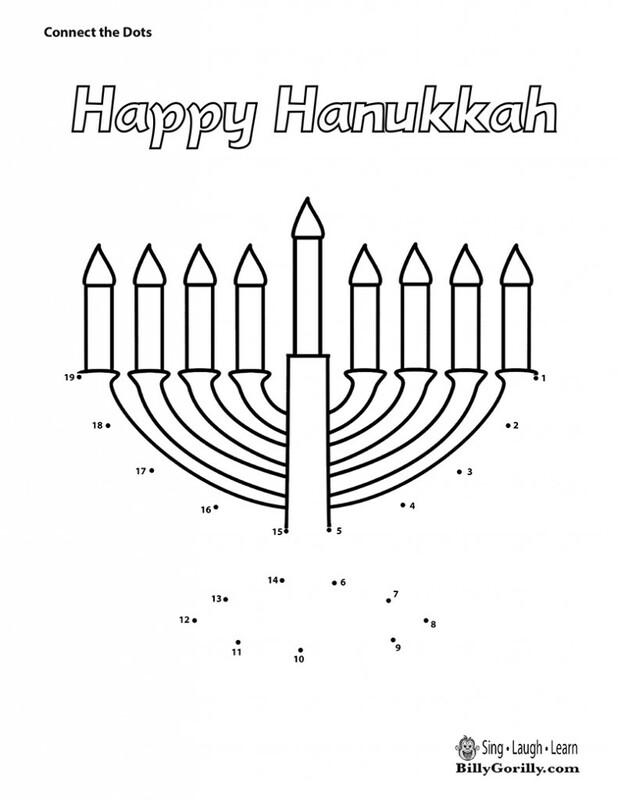 We offer the printable template of the eyes and title header if you like Here. In this example we are trying to find out how many kids in the class have brown, blue, green, or hazel eyes. Here is one way to do it. Have the children sit in a circle. 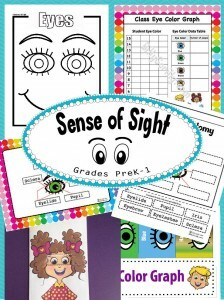 Using a portable mirror, have each child look at their eyes to see which eye color they have. 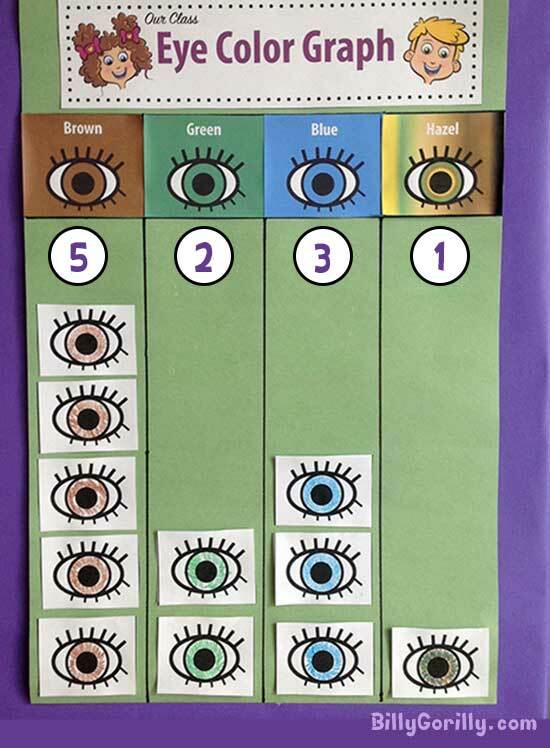 When each child has determined their eye color send them back to their desk. Pass out a paper eye to each student. 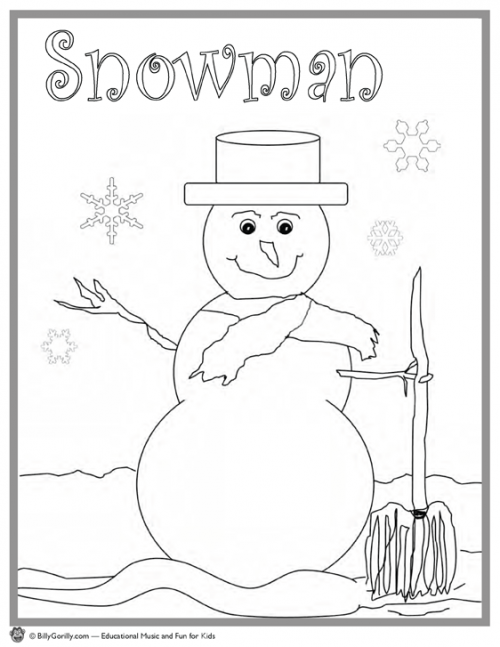 Using crayons or markers instruct the children to color the eye to match their own eye color, as shown in the example above. 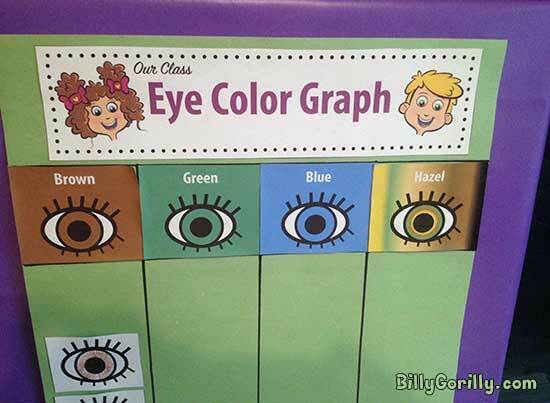 Paste all the colored eyes in the appropriate column on your graph. 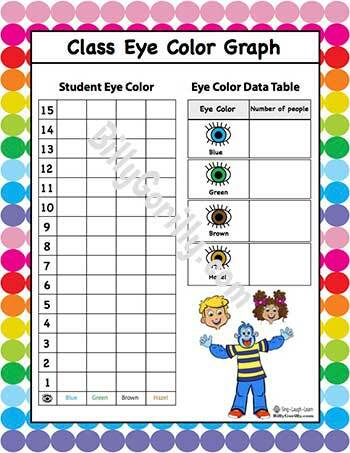 You can also add the number for each eye color to your graph as shown below. Here is another example of a bar graph. 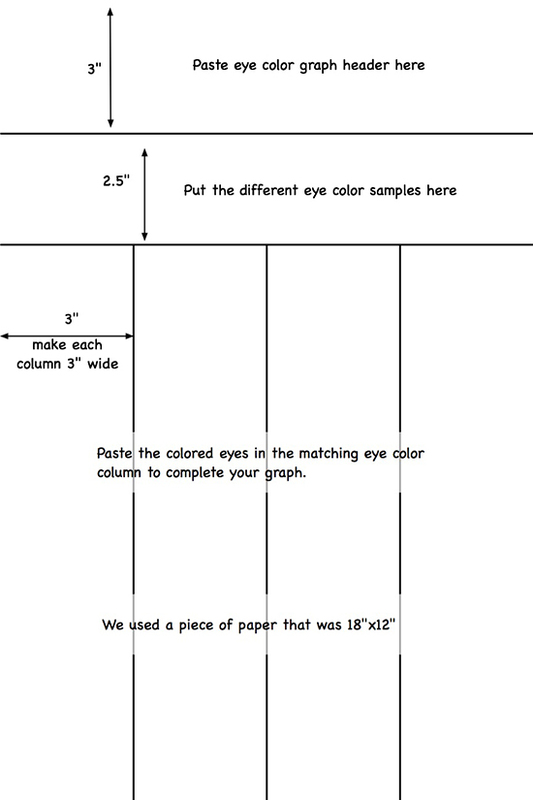 With bar graphs you use the height of each bar to compare the data. This graph can be printed out and filled in as a group project or handed to each student to fill in on their own. 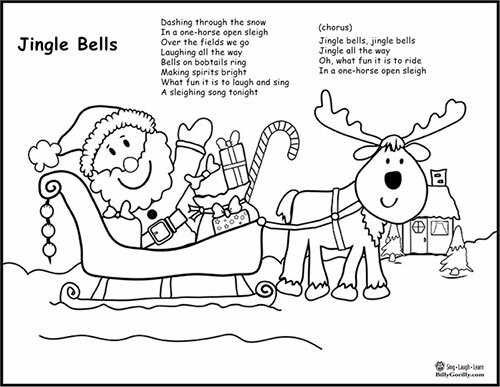 Kids watch and sing-along with Billy Gorilly to learn about the five senses. We use our sense of sight to see, explore, and navigate the world around us. We use our eyes to see a friend sitting across the room, read a book, or watch a movie. We use our sense of sight to check for cars, making sure it’s safe to cross the street. We use our sense of sight to determine if it’s day or night. Eyebrows – Protect your eyes from things getting in them like dust, sweat, & hair. Eyelids – We have an upper eyelid and a lower eyelid. Eyelids help protect the eye by keeping things out of your eye. They also help keep your eyes moist when you blink or close them while sleeping. When you see something come close to your face, your brain tells your eye to close without you even thinking about it. You can also open and close your eyes on demand. When you open and close your eyes, it’s called blinking. Sclera – The white part of the eye is called the sclera. Say: sklair-uh. 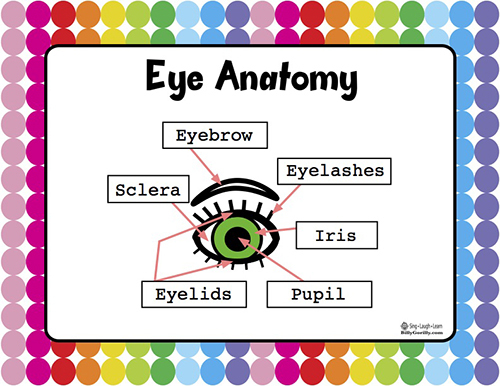 The sclera is the tough outer coat of the eyeball. Iris – The part that gives your eye its color. The iris works as a muscle to make your pupil get big (dilate) or get small (constrict). Not all people have the same eye color, some have green, blue, brown, hazel, or a combination of colors. 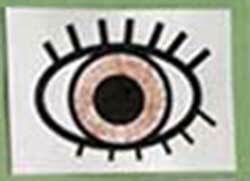 Pupil – The pupil is the black dot in the center of your eye. The pupil gets bigger (dilated) in the dark and smaller (constricted) in bright light. When it’s dark your pupils get bigger to help you see better by letting more light in. 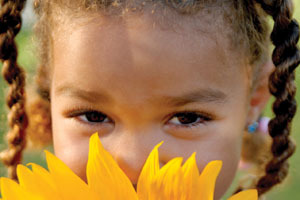 Your pupils get smaller in bright light to help protect your eye by letting less light in. 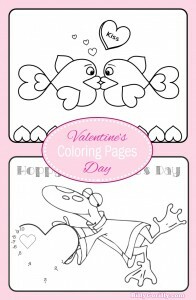 With FREE activity pages to download and print. Click on the Print button below the activity pages you want. Every kid loves pretending they’re a rocket launching into the sky, but there’s more to that simple countdown than meets the eye. First of all, counting backwards is not as easy to as you might think. For young children who have only relatively recently learned to count forward, counting in the opposite direction can be somewhat tricky. But given plenty of opportunities to practice, most kids feel comfortable counting down by the time they finish kindergarten. Learning to count backwards enables children to identify numerical patterns and more fully understand the relationship of one number to another. 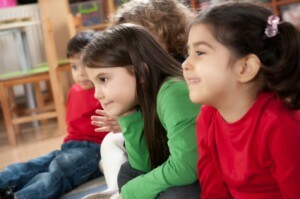 Teachers and parents who introduce and reinforce this skill are building a perfect foundation for children to learn the more complex mental math techniques that will be necessary in their future. Because the concept and skill of counting in reverse can be a little difficult to grasp, it’s vitally important to engage kids in a variety of fun and motivating activities that build their confidence. 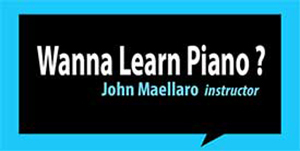 Using your fingers is one of the easiest ways to get started. 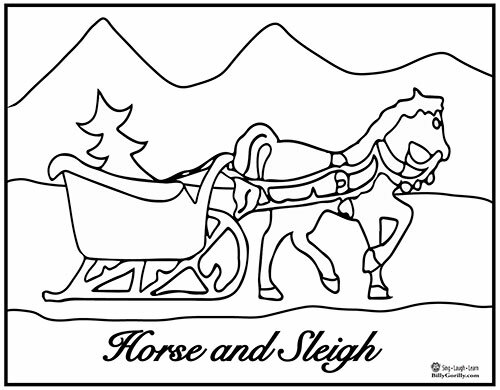 Having that clear visual cue helps children develop the mental pathways required to understand the theory and obtain the ability. While fingers are always handy (did I just say that? 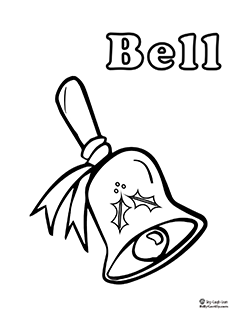 ), really anything can be used to give a visual representation. 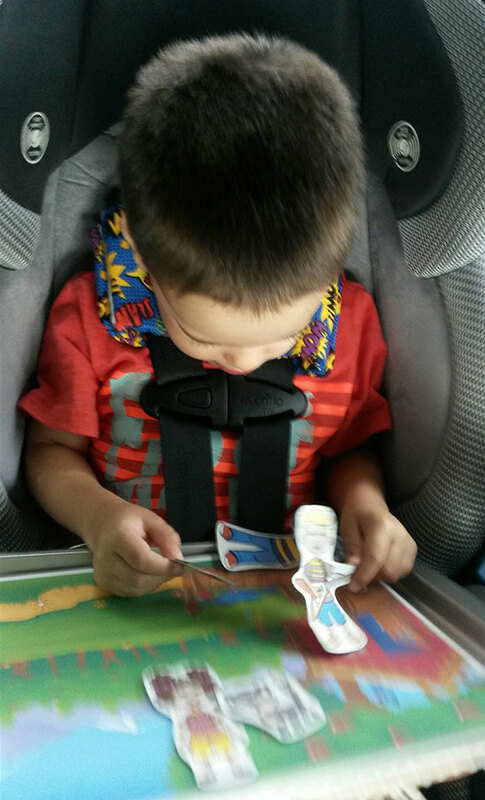 Toys, books, pieces of fruit, …. just look around. 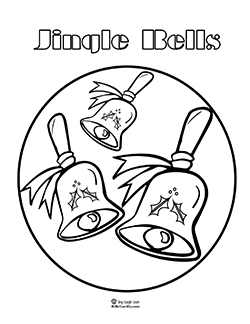 Using the power of music is also very effective in helping kids learn challenging skills like counting backwards. 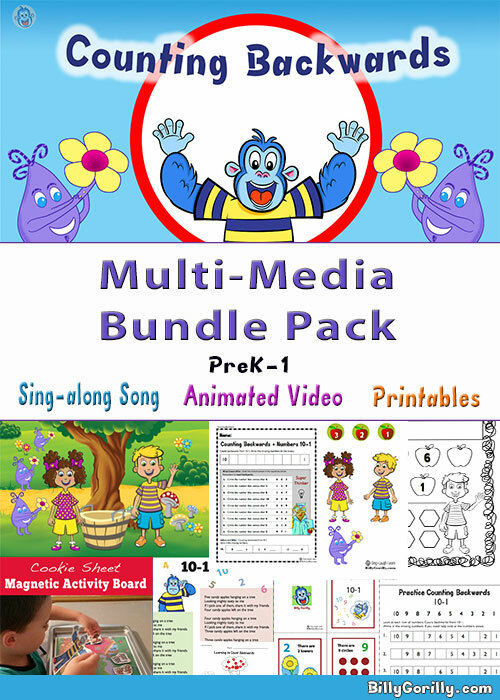 Songs and music videos enable young children to practice counting down while giving them strong visual and auditory links their brains can replay whenever they need to. Not to mention the fact that including music in the process makes everything a lot more fun. 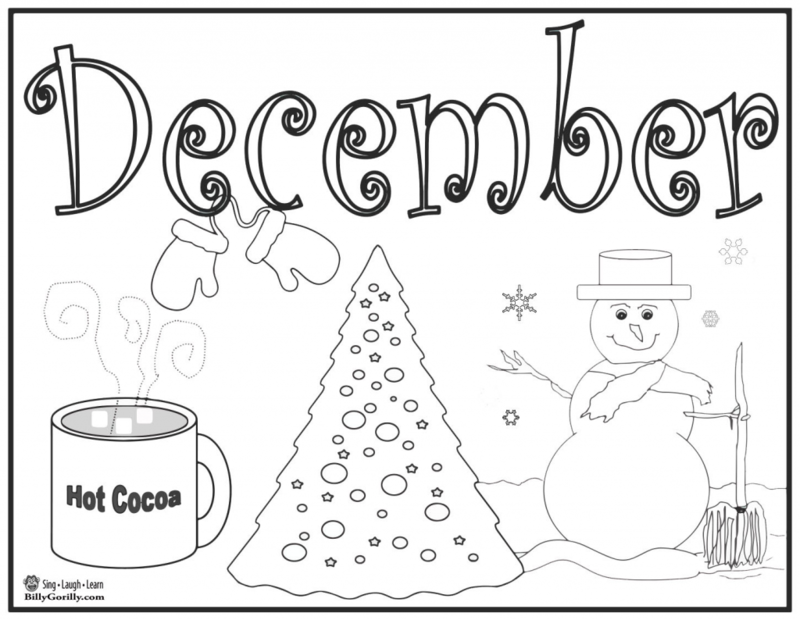 Counting down can be used almost anytime kids need to transition from one activity to another. 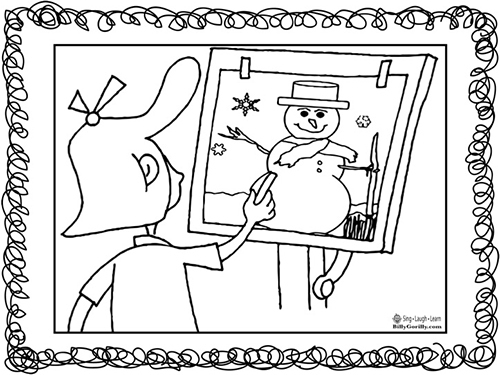 Whether at home or in the classroom, a count down makes even the simplest things more exciting. 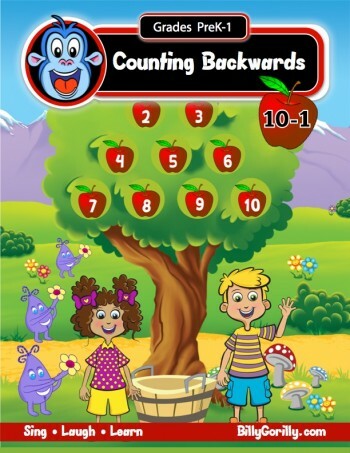 With a little creative thinking, chances to hone the skill of counting backwards can be found all around. 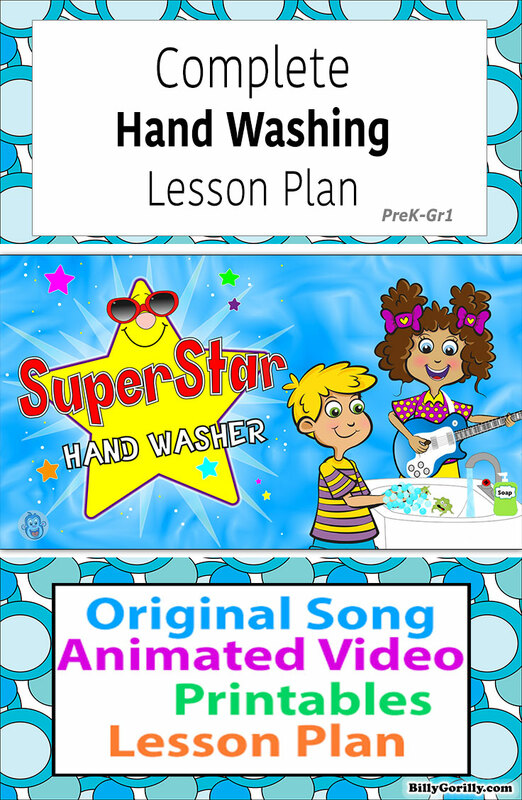 Billy Gorilly’s SuperStar Hand Washing video makes learning about hand washing fun. It keeps the germ talk simple so it’s not too scary. 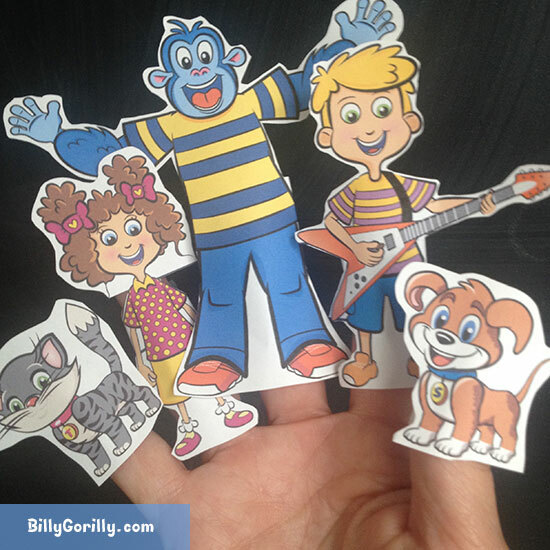 In the video Billy teaches kids the basics of Why, When, and How to wash their hands in words they can understand. Then, they get to pretend to be world famous rock stars singing the SuperStar Hand Washer song. 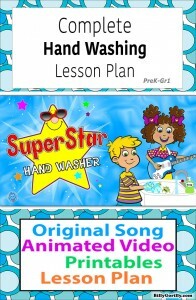 The song is just the right length for hand washing timing, easy to sing, and lets those pesky little germs know who’s boss as they’re being sent down the drain. You just might find yourself singing the song too. I think it makes a lot more sense than happy birthday. What does your birthday have to do with hand washing anyway? Handwashing with soap and water is an affordable, easy, and effective way to prevent diseases. good hand washing that will last a lifetime. We’ve created a hand washing lesson kit that contains everything you need to teach a classroom full of children how to wash their hands. 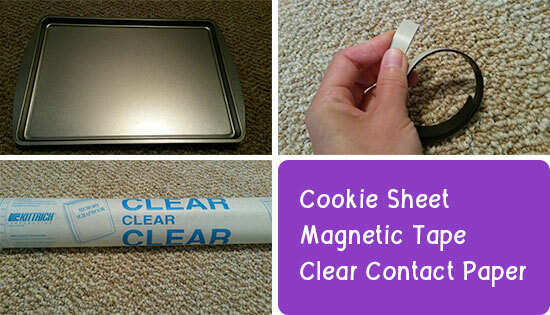 This kit makes it easy for you to teach kids about handwashing. The teacher/leader script helps you every step of the way. 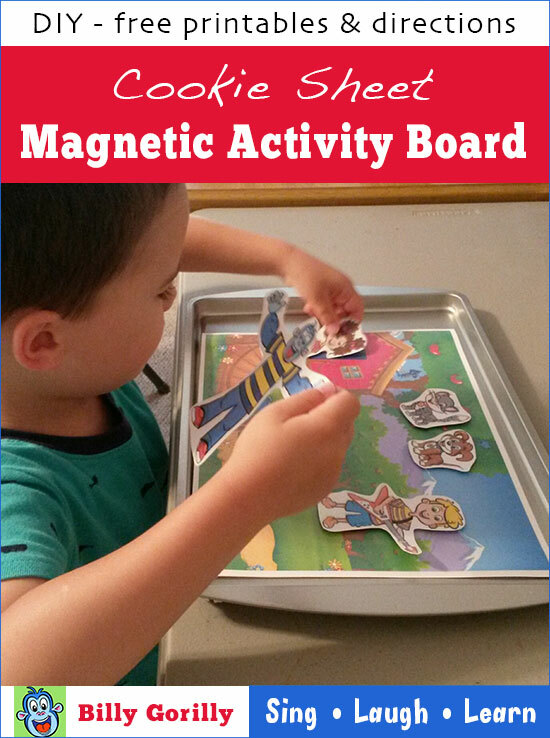 This magnetic activity board is easy to make and fun for kids. 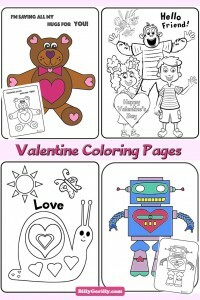 Great to keep the little ones busy while on a road trip or quiet time at home. 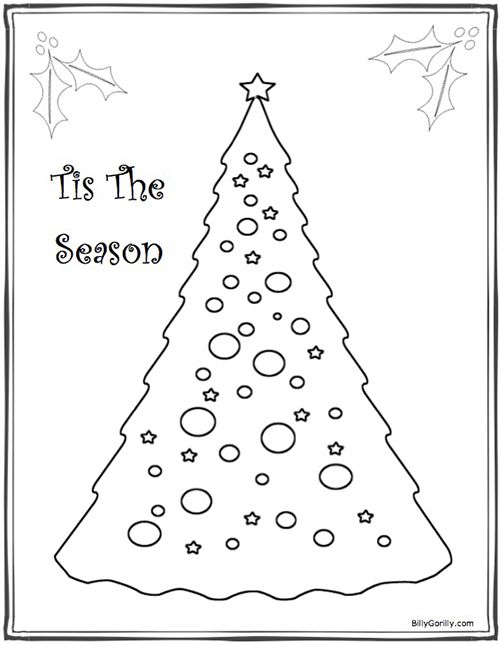 Print out the background and characters on regular or card stock paper. 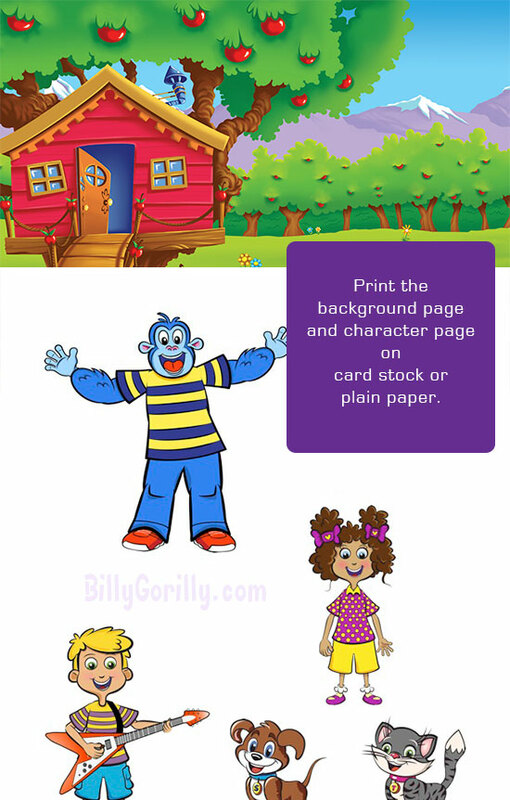 For best results print the background using borderless printing. 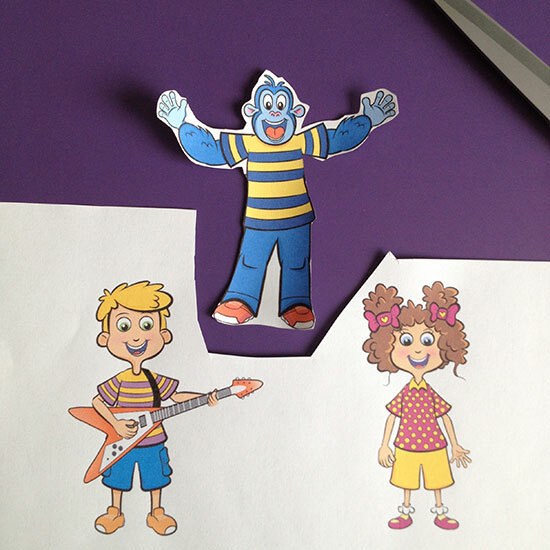 Use clear contact paper or laminate to make cutouts and background long-lasting. 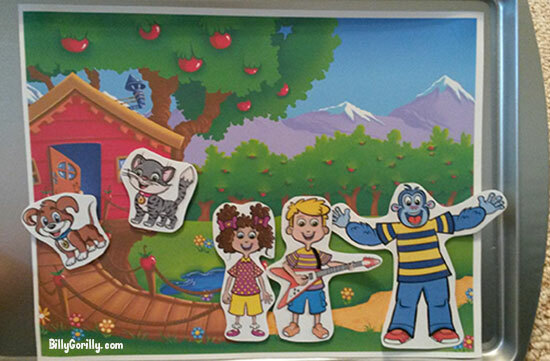 Cut out each of the characters. 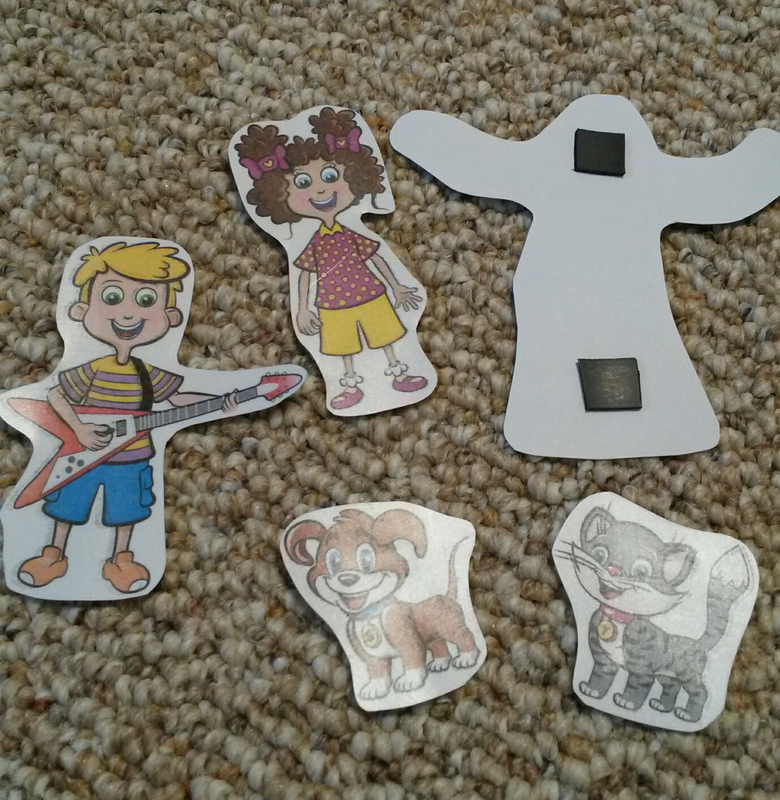 Cut pieces of magnetic tape and apply to back of characters and background image. That’s all there is to it. Your activity board is ready for fun play. 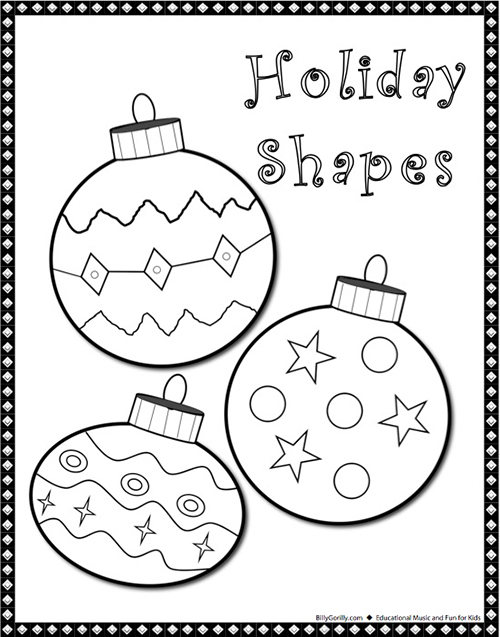 This kids craft is super simple, and its fun too! 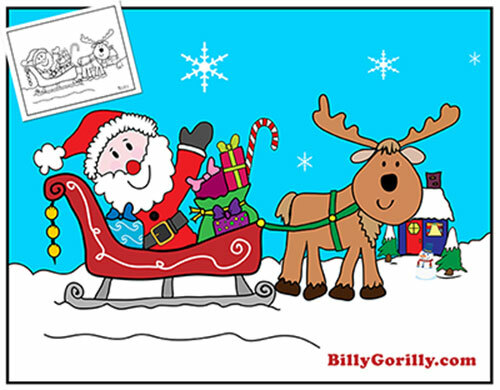 Print out the Billy Gorilly finger puppet template. Create a tube out of paper to fit finger and tape to the back of image. 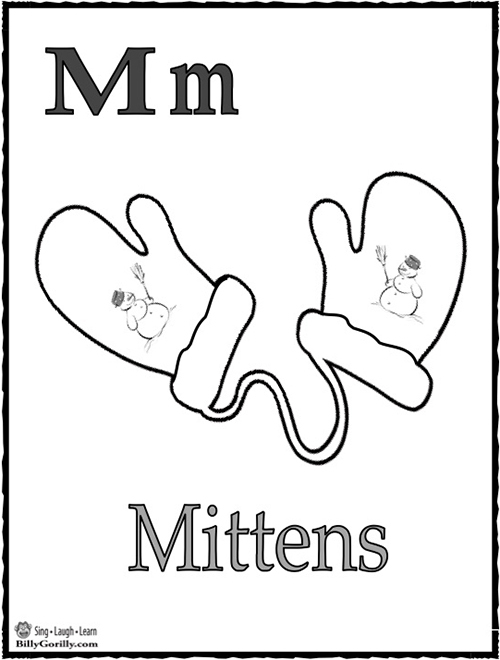 Enjoy your finger puppets!